Home Articles The Stump What Kind of Democracy Do Localists Want? What Kind of Democracy Do Localists Want? Last week the United States went through another one of our regular, mostly ritualized exercises in mass democracy. What did (or should) localists think of it all? I don’t simply mean those who, wonderfully, maintain a robust connection to their local community and at least some degree of involvement in local affairs; I mean those who do all that and who intellectually situate their local action within a broader political or social scheme. 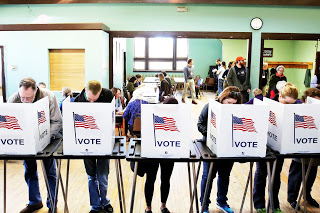 So, in other words–what did philosophical localists think of the 2018 midterm elections, or any elections in our kludgy mass democracy, for that matter? Is there a localist opinion about democracy at all? And if so, what is it? I find myself thinking about this particularly because of the Front Porch Republic conference I attended a month and a half ago. The focus of the conference was the legacy of 1968, that monumental year a half-century ago. There were multiple excellent presentations–both funny and thoughtful–given there about the nature and consequences of the changes and crises which that year visited upon the United States. And yet, through it all, through discussions of race and gender and politics and war, I felt there was something missing. The formidable Bill Kauffman articulated it for me, though only indirectly, by way of a brief snark about Tom Hayden during his presentation. An entire day of talking about 1968, with almost no mention of all the democratic activism, party controversies, and electoral anger which shaped the civic atmosphere within which the dramatic events of that year played out, and with only one joking reference to the famed author of the Port Huron Statement (or, if you prefer, the “compromised second draft“), one of the essential texts of 1960s student radicalism and participatory democracy, to boot? That seemed…odd. Race riots, the evolution of the welfare state, clashes between police and demonstrators, assassinations, changes in sexual habits, reflections on the Vietnam War–localists can say something about, and learn something about, all of those, as the conference amply demonstrated. But can they–can we, since I was right there, with my own localist sympathies on display–say something, and learn something, about democracy itself? The key problem, obviously, is what is meant by “democracy.” Search for that word on the Front Porch Republic website, and you’ll get links to dozens of articles, going back many years, consisting of dozens of different takes on dozens of different aspects of the idea. So looking for some clarity is imperative. 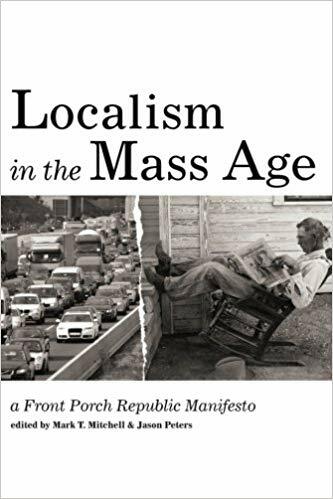 Localism in the Mass Age: A Front Porch Republic Manifesto is a wonderful collection, though (appropriately enough!) it has some real limits as far as the “manifesto” part of its title goes. Pick up this terrific collection of essays, and you’ll find multiple beautiful, insightful, challenging snapshots, taken from a localist perspective, of our present condition. 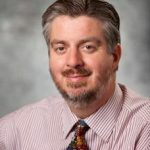 But only a few of those snapshots include any comment at all about “democracy” as either a governing system or a political ideal, and only one–Jeff Polet’s excellent “Federalism, Anti-Federalism, and the View from the Front Porch”–provides any real analysis. Polet’s basic perspective, and it’s one that appears shared by most of the other scattered comments in the book, is resolutely Tocquevillian: that is, it expresses the fear that democracy–government by the people–cannot, in itself, provide much by way of resistance to homogenizing economies and centralizing governments which would undermine the practices upon which democratic self-government depends. Democracy alone, the argument goes, provides no resistance to people thinking about their condition individualistically and materialistically, such thinking invariably invites market economies–and market regulations–which undermine real democratic premises. In the U.S., Polet sees as having developed under the reign of what he calls “egalitarian democracy,” which in his view presumes a system of government that takes boundless individual equality as its starting point. From that beginning, as Tocqueville argued, individual comparisons to and resentments towards others are enabled, leading to the drive felt by most individuals to forever improve themselves, which in turn leads to endless demands for economic growth and (eventually) regulatory expansion, both of which undermine “the preservation of individuals in their self-sufficient liberty” (pp. 54-55). The democratic impulse, then, at least when not constrained and contextualized by being “enmeshed in distinctive local communities,” will only encourage retreat from the social sphere, eroding “our capacity to love what is nearest and most particular,” and creating “disconnected citizens who relate primarily by means of tolerance or cash relations” (pp. 55-56). Sadly, the massive, intricate, yet also crudely partisan and more often than not thoroughly nationalized political debates of the just-completed midterm elections don’t immediately suggest any reason for localists to dissent from Polet’s diagnosis. Liberalism…adjectively coexists with the noun “democracy,” apparently giving pride of place to the more ancient regime form in which the people rule. However, the oft-used phrase achieves something rather different from its apparent meaning: the adjective not only modifies ‘democracy’ but proposes a redefinition of the ancient regime into its effective opposite, to one in which the people do not rule but are instead satisfied with the material and martial benefits of living in a liberal res idiotica…. [T]he true genius of liberalism was to subtly but persistently shape and educate the citizenry to equate “democracy” with the ideal of self-made and self-making individuals…while accepting the patina of political democracy shrouding a powerful and distant government whose deeper legitimacy arises from enlarging the opportunities and experience of expressive individualism. As long as liberal democracy expands the “empire of liberty,” mainly in the form of expansive rights, power, and wealth, the actual absence of active democratic self-rule is not only acceptable but a desired end” (pp. 154-155). There are several interesting implications here, perhaps the most important of which is that localists presumably ought to have an affection for those “ancient,” more communitarian or republican forms of democracy which are “illiberal,” as Deneen puts it elsewhere in his book. Relying on Tocqueville yet again, Deneen locates “democracy properly understood” with the Puritans, and their legacy of small, mostly homogeneous, religiously oriented towns practicing direct, collective self-rule. “Democracy required the abridgment of the desires and preferences of the individual, particularly in light of an awareness of a common good that could become discernible only through ongoing interactions with fellow citizens… Democracy, in [Tocqueville’s] view, was defined not by rights to voting either exercised or eschewed but by the ongoing discussion and disputation and practices of self-rule in particular places over a long period of time” (pp. 175-176). People who have been shaped by and/or long for the virtues of localism ought to want to be part of the maintenance and governance of such; hence, local democracy ought to be a goal, and localists ought not be deluded into thinking that the expansive (and therefore often alienating) operations of contemporary mass, electoral, liberal democracy can do the trick. But is that an argument to refuse to participate in the democratic system America currently has? Or a call for localists to engage in it, and by so doing strive to reform and re-vivify it? Deneen, unfortunately, basically passes over the whole range of historical and philosophical arguments dealing with populist or participatory democracy. 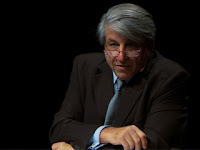 He does acknowledge that “progressive liberals” have, over the past 100 years, taken many steps which have enabled “more direct forms of democratic governance,” but since those same reforms have been attended by a professionalization of the policy-making process, he thinks the result has actually been a limiting of democracy to “the expression of preferences,” which, unlike actual, practical governing work, can be easily abstracted, commodified, and marketed to (pp. 159-160). The fear that democratic reforms aiming at increasing participation only end up increasing the influence of elite experts is, admittedly, one reason to be suspicious of any talk about civic empowerment which doesn’t involve a wholesale rejection of liberalism. And yet, it’s hardly the case that “elites” are absent from “ancient” or “illiberal” forms of democracy either. On the contrary, they are recognized explicitly as playing a needed role. 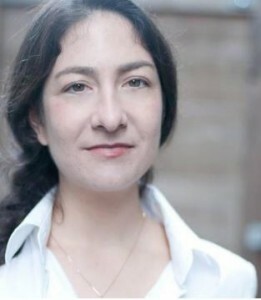 Polet writes that the corruption of American democracy could only have happened once “authority was dislocated” in “religion, economics, family life [and] local life” (p, 58) and Deneen worries that always working to forestall “local autocracies or theocracies” in the name of freedom and equality only extends an anti-democratic “liberal hegemony” (pp. 196-197). 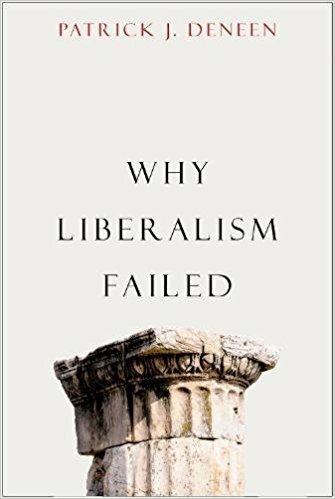 So what, exactly, are the sorts of elites which philosophical localists who 1) hope to preserve democracy without 2) dismissing everything liberalism and egalitarianism have accomplished (accomplishments that Deneen, Polet, and every other serious localist can’t pretend to ignore) need be most afraid of? Perhaps the elites in question are those connected with cities and the powerful financial and cultural forces which such urban spaces both cultivate and presume? That may seen like a rather peculiar leap, but it is a connection which, once again, Tocqueville explicitly puts on the table: as Polet argues (p. 56), and Deneen and other localists concur, for Tocqueville the great sign of the degeneration of democracy is the rise of “capital cities,” metropolises of significant size, all of which are able to command economic and social resources that exacerbate the always-lurking aspirations and resentments of self-interested individuals. To quote the man himself: “In cities men cannot be prevented from concerting together, and from awakening a mutual excitement which prompts sudden and passionate resolutions….To subject the provinces to the metropolis is therefore not only to place the destiny of the empire in the hands of a portion of the community…but to place it in the hands of a populace acting under its own impulses, which must be avoided as dangerous” (Democracy in America, Part 1, Chp. 17). The key passage there, I think, at least in reference to what seems common among all these localist defenses of “ancient” or “illiberal” democracy, is that the population of cities is “acting under its own impulses”–in contrast, presumably, to those in smaller communities, whose passions are still subject to community expectations, local traditions, and family roles. Of course, to enjoy the ability to act under one’s own impulses has been the attraction of cities for hundreds of millions for thousands of years–the legendary 13th-century German peasant who claimed “Die Stadtluft macht frei!” wasn’t a creature shaped by the acquisitiveness and envies of modern market economies, that’s for certain. But the fact that cities have always played a central role–whether enriching, parasitic, or both–in our socio-economic and socio-political contexts is hardly an argument against thinking about their democratic costs and consequences. The Republican voters here in very Republican Kansas who, in the wake of an election which put Democrat Laura Kelly in the governor’s mansion, look at the election map, note the nine urban (or more urban than their neighbors) counties that gave her a winning plurality, and start muttering about the need for an electoral college for our state, can perhaps be forgiven, even if they’re wrong. Even as [Barber] commends cities as “natural venues for citizen participation,” he does not dwell on the relative civic disconnection that not only is a signal feature of many…of the world’s cities…but may in fact constitute one of the main attractions for urban dwellers: that is, relative anonymity, “loose connections,” and an engrossing concern for private and commercial opportunities…. Barber’s latest book represents…a “return” to his earliest concerns that link democracy with a strong local connection…but having “translated” that concern in the context of the modern, commercial, cosmopolitan city, it is not clear that he has similarly “translated” the likelihood of democratic flourishing in such a double-edged locus (pp. 109-110). The doubled-edged locus in question is one that any localist who values democracy but also values liberal capitalism (or at least does not want to see it abruptly and arbitrarily overthrown) has to struggle with. Urbanites (which are, of course, close to 80% of us in the United States, and over half the planet’s population overall) need to be able to, and should be able to seek to, exercise the same opportunities for self-government that all localists hold dear, but that runs against the general anonymity, the disconnected elites, and the abstract, non-embedded cultural priorities which large and diverse cities appear to promote and, to a degree, depend upon. Cities are not, I think, best understood as partaking in some kind of structurally anti-Tocquevillian conspiracy against the possibility of more communitarian forms of democracy, but nonetheless cities are profoundly, even constitutively, liberal in their functioning. 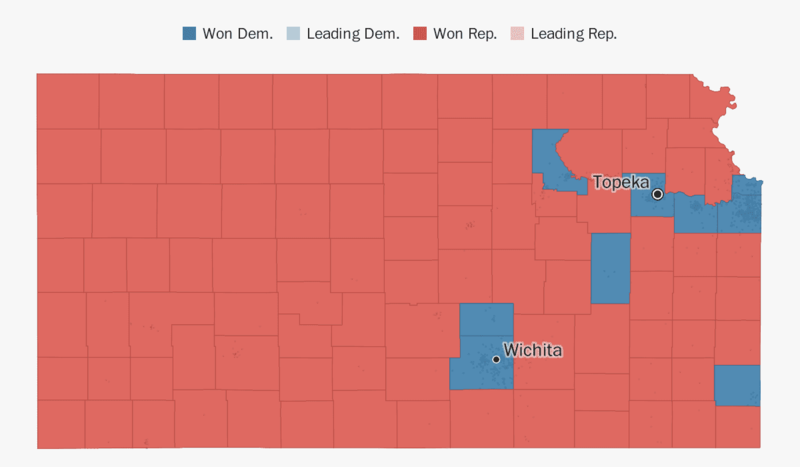 And even if that philosophical liberalism doesn’t always translate into voting for self-described “liberal” or “progressive” candidates and causes, it does often enough that the divide between the majority of urban voters and the majority of rural voters was one of the clearest and starkest results of the 2018 midterm elections, and not just here in Kansas. The best research confirms the basic localist suspicion that “people in larger cities are much less likely to contact officials, attend community or organizational meetings…vote in local elections…or be recruited for political activity by neighbors, and are less interested in local affairs.” They are not, in short, as consistent incubators of democratic habits as smaller towns may be–very possibly because of all the aforementioned Tocquevillian reasons, especially the depressing dominance of urban politics by deracinated, disconnected elites. But to call for federal and exclusionary structures that would block urban populations from exercising their democratic demands for fair representation shows, I think, perversely too much attachment to electoral politics in a liberal society. Specifically, instead of thinking about how to change, re-arrange, and therefore renew democratic possibilities within our polities, it reveals a desire to thrust any and all perceived threats to their already-problematic status quo outside of them. (Thankfully, urban voters here in Kansas were essential to defeating a gubernatorial candidate who had built much of his career around attempting just that.) It may well be that the participatory ideas of democratic activists like Hayden never really truly engaged with the way cities can change, and thus quite possibly warp and undermine (or perhaps occasionally even enrich? ), democracy; he was once quoted in The New York Times as saying that to end “the alienation from government that is so prevalent in society today…the answer is not busting up a big city into a lot of small cities,” and one would hope that, were he alive today, he’d be willing to at least entertain that possibility. But whatever the limitations of democratic activists, their ideas need to be wrestled with by philosophical republicans and localists like Polet and Deneen, confronted as they are by the reality of liberal democracy, with all its flaws, in America today. In parting, one example of such intellectual engagement: Susannah Black’s essay “Port City Confidential,” one of the most lyrical and thoughtful contributions in Localism in the Mass Age. Black confronts the problem which cities pose for conservatism–and, by a not-too-strained extension (or so I would argue), the problem they pose for any communitarian, republican, or illiberal articulations of democracy as well. To not figure out how to democratically accept the city–and the kinds of practical education in limits and community connection and place which they provide, to at least some urbanites, in some contexts, some of the time–is to allow one’s “hunger for stability” to associate stability solely with “the quasi-mythical stable communities of the past,” rather than recognizing that urban life incorporates, instead of an illusionary stability, the higher “New Jerusalem” ideal of “a multiethnic exuberant rejection of all apartheid, a city full of people from all the nations” (p. 217). That sounds very cosmopolitan–but the hope for localists, especially in our 21st-century liberal capitalist world, must be that there remains (via one kind of philosophical or political formulation or another) an actual polis within our globalized, urbanized cosmopolis. Perhaps Barber was not entirely wrong to gesture in that direction–at the very least, the liberal voters and (hopefully) aspiring democratic activists of today’s cities might be able to make a better accounting of themselves as part of interdependent, aspirational networks, local and regional and otherwise, rather than as mere contestants for control over the modern liberal state. Not sure why I will bother to type this, since you know what I’m going to say. Everything you say overlooks the fact that political power was brazenly stolen from rural people by Supreme Court dictate 50+ years ago. Which is WHY economic opportunity has evaporated, and in an inexorable feedback loop driven people from country to cities, which has further increased their political power, which has further tipped the system towards their interests, which has driven country people to cities, etc., etc., etc. You don’t get to say that cities get to completely drive how government works, including how resources are allocated, and then say, “hey, people just like living in cities better, whatchagonnado?” It’s like pretending that there is now an overwhelming demand to live in Northern Virginia that didn’t exist before, and thinking that is just completely natural and random, and nothing to do with massive government spending and hiring there. And the claim that saying that the government system was better, more legitimate, and more fair before 200 years of American governing tradition was thrown in the garbage based on a new interpretation of a 100 year old amendment, is somehow trying to deprive urban voters of their political power or “fair representation” is really quite breathtaking in audacity. No one is proposing doing to urban voters what was done to rural voters, and stripping them of all power. But the country would be a darn stretch better off if we did so. Brian, it’s good to know neither of us have changed! Hopefully we’ll be able to continue to have this argument for decades to come. Everything you say overlooks the fact that political power was brazenly stolen from rural people by Supreme Court dictate 50+ years ago. Everything you imply here overlooks the fact that by the time Reynolds v. Sims and other court cases came down in the early 1960s, you’d had consistent urban growth for decades, much of which began long before the New Deal-WWII booms in federal spending (over a quarter of the total U.S. population moved from the countryside to their nearest city between 1870 and 1920), and in many states no redistricting whatsoever to reflect took place to political reflect those changes in residency. Deny that people actually made that choice as free and thinking individuals, condemn the social consequences of them, blame it all on some elite judicial conspiracy; you’re free to do so. But until your complaint with the shifts in American electoral democracy stops beginning with a liberal Supreme Court and instead starts beginning with the Industrial Revolution and the rise of liberal capitalism, I’m not sure how seriously I can take any of it (not that you’re obliged to take me seriously either, of course). I don’t remember writing this in the above essay; on the contrary, I recall writing “none of this is a reason for localists, particularly those wanting to hold onto the pursuit of the virtues of self-government, to become unconcerned boosters of urbanism.” Yes, the concentration of a state’s or a country’s population in urban centers and capital cities is problematic, as Tocqueville noted. I just reject the idea that the real source of such problematic concerns was the judicial insistence upon counting the votes of individual citizens more or less equally; to think that is, in my view, to show, as I also wrote, “a desire to thrust any and all perceived threats to the…already-problematic status quo [of electoral politics in a liberal society ] outside,” rather than addressing changes both good and bad. I’ve written many times here in praise of Belloc and Chesterton as the more farsighted economic thinkers of the past few centuries–far, far greater than Marx, for instance, who was spectacularly wrong in most of his diagnoses and all of his predictions. HB & GKC are quite strong critics of the Industrial Revolution, which after all was a natural outgrowth of the way the English Reformation happened. Trust me, I can be just as reactionary and full of righteous fury towards Big Business both now and a few centuries ago as I am towards the Supreme Court of the 1960s. I focus on the latter so much because I do think it is an immediate proximate cause of many of these problems, and in theory it could be fixed, though of course that will never happen in practice. That’s how I interpret the line that contains: “federal and exclusionary structures that would block urban populations from exercising their democratic demands for fair representation” Not sure how else to interpret it. First, “peasants” has dismissive and cruel connotations, and if you didn’t mean that, you shouldn’t have used the word to analogize to your rural fellow citizens. But second, you’re just wrong to try to blithely claim that the reason people leave the country for the city is perfectly natural, and not due to explicit government policies that are only possible because of the way that government power has been transferred away from the country and to the city. People do make their own decisions, and economics play a major role in them, and government plays a major role on the economy, and government is dominated by urban interests, and government places its thumb on the scales in favor of those interests, and people react accordingly. If government power was distributed differently, resources would be allocated differently, and people would react differently. Trust me, I can be just as reactionary and full of righteous fury towards Big Business both now and a few centuries ago as I am towards the Supreme Court of the 1960s. I focus on the latter so much because I do think it is an immediate proximate cause of many of these problems, and in theory it could be fixed, though of course that will never happen in practice. Fair enough. My judgment is that the Supreme Court of the 1960s fixed as many important problems as it may have created in American politics, but I can respect your choice of focus, even if I don’t agree with it. I’ll grant you “more fair,” then, as a defensible interpretation, but as someone who doesn’t even think we should have a Supreme Court, or at least not one capable of broad powers of judicial review, don’t assume that my recognition of what I think to be pretty obvious democratic improvements is necessarily a broad granting of democratic legitimacy or “goodness.” I think our regime, including the post-1960s judiciary-centered version of it, is much better than many others, and I think there have been important ways in which that regime has enabled better, more coherent and defensible forms of democratic practice to emerge (one of my criticisms of Deneen’s book is that he grudgingly acknowledges this to be the case, but then almost immediately points to its problematic implications, rather than really exploring all the positives and negatives of those acts of enabling). But the regime itself, overall, is an undemocratic and community-unfriendly one. Recognizing popular democratic realities on the ground doesn’t, to my mind, absolve the overall regime from its many anti-democratic and anti-community sins. First, “peasants” has dismissive and cruel connotations, and if you didn’t mean that, you shouldn’t have used the word to analogize to your rural fellow citizens. I genuinely did not see it that way when I wrote that sentence, but now that you point it out I do see that my attempted parallel contained an insult; that was wrong of me, and you’re right to call it out. I should have written better. But second, you’re just wrong to try to blithely claim that the reason people leave the country for the city is perfectly natural, and not due to explicit government policies that are only possible because of the way that government power has been transferred away from the country and to the city. But I didn’t say it is “perfectly natural”; I said that the reason(s) for the move are “entirely unobjectionable, politically speaking.” I probably could have written that better, but my point was that you just cannot, or so I believe, attribute anti-rural political calculations to the overwhelming preponderance of the emptying out of the countryside and the swelling of the cities. Note what I wrote in my above comment, about how the massive urbanization (and rural depopulation) of the U.S. had begun long before automobile interests, financial interests, media interests, and others started to use their influence to get the national government to “place its thumb on the scales in favor of” America’s cities. Steven Conn’s Americans Against the City is very good on this point; it was clear that the country’s “urban moment” was dawning by the turn of the 20th century, before the 16th amendment increased the national government’s redistributive powers, and before the 17th amendment nationalized one of the remain sources of state political power. So while I suppose you can insist that urbanites have been concentrating power to the detriment of rural folks forever, the evidence, to my eyes at least, is that rural folk have been abandoning local power bases, in favor of urban opportunities, for just as long, and the whole question of delivering government power to where the people are is, in terms of the capitalist-driven shift away from a localized, producer-based economy, a comparatively recent development. “The Choice Before Us: (a) a leakproof control of farm production or (b) a program, such as we are recommending here, to induce excess resources (primarily people) to move rapidly out of agriculture”. So while there has been a general movement of people from rural to urban areas for quite a long time, it does seem that this movement got a large game-changing push in the post war period, to the point that by the early 60’s the CED could report that all of its goals had been substantially achieved. It is of course completely true that urbanization is a global and long-term phenomenon. It would be going on regardless of if New York state was allowed to have a state senate where the counties were represented more equally and therefore NY City interests weren’t all that mattered. Maybe some is due to shrinking fertility rates, maybe some due to television and the internet, maybe some due to globalization, who knows what else. All of these need to be reckoned with, but unfortunately we are in a system now where NYC dominated politicians mouth platitudes to rural and smaller city voters about helping them and then shower Amazon with massive amounts of cash to come to the big city. It makes your last sentence of the original post ring very very hollow, no? Dirt doesn’t get to vote. If you want to know why we don’t care what happens to rural people, remember that the typical rural person is a wife=beating Klansman. I grew up in a rural area, and the minds are smaller than the popularion. It’s a world dominated by Biff Tannens — dumb, big, brutal males, and their dimwit cheerleader women. If you were a woman who liked thinking, then you left. If you weren’t white, you left. If you were gay, you left as fast as you possibly could for your own safety. Rural people made their own filthy beds and I look forward to seeing the Electoral Collegae and Senate eliminated so that they have no power left at all. I won’t bother to suggest you read the Federalist papers, but will just point you to Article 5 of the Constitution. Go ahead and try to amend the constitution, but note well that the process is very, very biased towards states, i.e., dirt, in your eloquent words. Also, revising the Senate apportionment requires unanimous consent of the states, so good luck with that. I guess you could argue that you and your ilk can just disregard the Constitution, since you have all the power, but reverence for that document is the only reason why Americans tolerate bigots like yourself. You won’t like what happens if you destroy that. Better put some coffee on, because you’re going to be waiting a long time, sister. It makes your last sentence of the original post ring very very hollow, no? My sentence about how perhaps it isn’t “entirely wrong” for “liberal voters” and “democratic activists” to at least “gesture” in the direction of politically building some kind of interdependent network of municipalities, as opposed to understanding themselves solely in terms of contestants over control of the sovereign states in which they live? I don’t see how your point about the way major corporations like Amazon intensify the connection between urban residents and global capital makes anything I said ring hollow. I thought I made it pretty clear in my post that I fully agree with the Tocquevillian arguments I cite that the liberal capitalist city is problematic for democracy; Amazon’s bribes are an example of that, not a counter-point. True, I do think that those Tocquevillian arguments are limited, because they fail to wrestle with how deeply entwined urban offerings are with basic human desires and freedoms; people have been leaving the farm for the city for as long as there has been farms and cities, and those people who have chosen can make the same just demand for effective democratic authority over their lives as anyone else. Democracy, if localists value it, has to address itself to democracy in the city. I think Barber’s ideas were both elitist and kind of goofy, but at least he was attempting to think about the grounds and the potential of democracy in an urbanized world, in contrast to those who may insist that urban concentrations are always and in every way a threat to democratic government, which, in today’s capitalist world, is tantamount to just throwing in the towel. I look forward to seeing the Electoral College and Senate eliminated so that they have no power left at all. I have a long list of constitutional improvements I’d like to see happen, and getting rid of the Electoral College is near the top–along with getting rid of the Supreme Court’s power of judicial review–but eliminating the Senate doesn’t even make my top ten. Frankly, I’d be delighted by a package deal that got rid of the Electoral College and the 17th Amendment at the same time, allow the president to be elected by popular national majorities and returning the appointment of senators to state legislatures. That would be a weird reform, but since completely rewriting the document so as to give us a confederation of parliamentary democracies with proportional voting and regional legislative supremacy is highly unlikely, I’d be happy to take that as a start. I’ve followed your writing long enough to trust your opinions on these things. Now that I’ve had my daily exercise, I can give more reason answer on this. There is a serious divide between the countryside and the city now, with the cities liberal and the countryside very much not. There is an economic dimension to this, which you have noted. It’s almost impossible to get a job outside of the suburbs. So far, we agree. I do think, however, that you gloss over the cultural divide far too easily. I see little to even not hate about ‘traditional marriage,’ which gives men tyrannical p0wer over their wives and children, and ‘traditional marriage’ is what the rural places love. Wife-beating was ordinary where I grew up, and non-physical abuse was pretty much everybody, but no one ever seemed to see that this was a problem. Feminism was a city thing, but it was a very attractive city thing. I like being treated like a competent adult. That’s just one issue. Gay people, non-Christians, dark-skinned people, all had it pretty horribly in my hometown, and we weren’t even the worst. (Google Greenville, Texas, and feast your eyes on their sign: “The Blackest Land And The Whitest People.” This for a town that was 40% African-American.) Until we fix that problem, there’s going to be a chasm between the city and the country, and that will leave all of us much worse off. And I would still like to see the Senate abolished and the US a pure parlimentary state, but I’m sure I won’t get to do so. The Amazon giveaway shows that even the most “liberal” politicians in America have absolutely zero interest in doing what you suggest. Here’s the thing–I want NYC to be able to enact policies that best suit its needs. I want Wichita to be able to enact policies that best suit its needs. But I ALSO want Upstate New York and rural Kansas to be able to do so. I’m not a liberal, so/and I don’t really like high-tax, high-service models of government, but that is in fact more relevant for urban areas, and I’m not at all interested in trying to apply my lower-tax/lower-service preferences to them. (And I’m certainly not some no-government nihilist, as our awful political “conversation” immediately and lazily dubs conservatives.) We used to have a system that had systemic checks and balances that were designed to allow each of these “local” communities to have a voice. That’s gone now, so we find ourselves in a seriously suboptimal situation. There’s a famous quote (by Milton Friedman?) that what is necessary is not to elect the right/best people, but to construct a system that incentivizes those people who do get elected to make the “right” decisions (not an objective determination, of course). What is the incentive right now for NY state politicians to care at all about people who live upstate? There aren’t enough of them to matter, so you have to just hope for the goodwill of the political class. Unfortunately, the governor is a crook and a thug who is in office because of this last name and attendant lifelong connections. He openly said last week that taxes in NY are too high and they had to give Amazon a sweetheart deal or they would have gone to Texas, but last month when he was asked why people are fleeing the state, he said it wasn’t because of taxes, it was because of the weather. He was just re-elected with 2/3 of the vote. I would argue that a state with long-term and large domestic population outflows is in fact making bad policy decisions (looking at you, CA, NY, IL), no matter the political fortunes of the ruling political party there. Honestly, given the current political reality we’ve inherited, the best solution may be to propose that if a large enough fraction of a state’s area has below some threshold of political representation, it has the right to hold a referendum on separation in order to form a new state. Upstate NY is poor, so it would be sacrificing quite a bit of money from NYC, but it would gain self-determination, which is probably a deal that most of the residents would gladly accept. And I honestly don’t think NYC would be sorry to see it go anyway. The emotional attachment that most people view towards their state is long gone in most of the country. I appreciate the back-and-forth, Brian. We used to have a system that had systemic checks and balances that were designed to allow each of these “local” communities to have a voice. That’s gone now, so we find ourselves in a seriously suboptimal situation. Unfortunately, the governor is a crook and a thug who is in office because of this last name and attendant lifelong connections. He openly said last week that taxes in NY are too high and they had to give Amazon a sweetheart deal or they would have gone to Texas, but last month when he was asked why people are fleeing the state, he said it wasn’t because of taxes, it was because of the weather. He was just re-elected with 2/3 of the vote. No defenses of the odious Andrew Cuomo from me. I would have voted for Howie Hawkins. Honestly, given the current political reality we’ve inherited, the best solution may be to propose that if a large enough fraction of a state’s area has below some threshold of political representation, it has the right to hold a referendum on separation in order to form a new state. Upstate NY is poor, so it would be sacrificing quite a bit of money from NYC, but it would gain self-determination, which is probably a deal that most of the residents would gladly accept. I respect that position, Brian, even if I would disagree with certain elements of it. I wonder if it is correct? One of my (relatively few) beefs with Patrick Deneen’s book is that he never, on my reading, came out and acknowledged that the liberal capitalism of America’s largest cities is an enormous money-maker, and that to end or change or separate oneself from all that would, among other things, make one poorer, in absolute terms. Too many people, left and right, peddle the idea that somehow you can turn off or turn away from the efficient profit maximizers of the neoliberal world and all their damaging pathologies, and there wouldn’t be material consequences. Well, there would be, and it’s too your credit that you note it. Maybe you’re right that the residents of upstate NY would make this choice anyway, but I wonder. The fact that so many supporters of Brexit in the UK have changed their tune once confronted with the costs is counter-evidence, perhaps. I wouldn’t be opposed to the elimination of the EC provided there was something in place that would prevent what would otherwise be a perpetual urban/suburban political hegemony. Currently rural America can act as a political spoiler, but there’s no chance it will gain such a hegemony. In many cases, though, it seems that those who oppose the EC (cough-Krugman-cough) want to take away even rural America’s spoiler potential as a result of a combination of their elitism and their progressive mindset. Rural America is viewed as a giant speedbump on the way to a liberal Valhalla. However, some recent statistics show that the percentage of farmers is at an all-time low and that their average age is 58. Like it or not, it’s the giant speedbump that grows the food. When stuff stops showing up in urban and suburban supermarkets, what will these elistist progressives say then? As Wendell Berry has been saying forever, the fact that our food supply is entirely dependent on the petrochemical industry is a matter of grave national security. The continued political dissing of rural America (and Americans, a la Karen) will certainly not help the matter. Ditch the culture war crap. If rural residents will accept gay rights, racial integration, and feminism, we on the left will work on rural issues, including the need for more people to farm. So long as rural men think wife beating is okay, I will work to eliminate any power for rural men. Shorter Karen: We’ll help you as long as you agree with us. Why should I help you ruin my life and the lives of my loved ones? Traditional life stank for women; it left us ignorant, weak, powerless, and dead when we were still young. Traditional husbands get to beat their wives and murder their gay kids. Why should I help any of that continue? The sooner we eliminate all traditinal marraiges, the better off everyone but patriarchs will be. Nothing makes me happier than patriarchs being in abject agony. No offense, but I think you need counseling. Your bitterness has gotten the better of you. So if I get counseling I’ll learn to love being inferior to men? With enough electroshocks I’ll quit getting above my worthless female station and be the quiet, weak, cowardly, idiot that tradition insists women should be? Also, no one has even tried to address my point: small town traditional culture was dominated entirely by the whims of white males. Anyone else lived a completely miserable life. Why would anyone who isn’t white or male want to go back to that?